Pemetrexed, sold under brand name Alimta by Eli Lilly and Company is a chemotherapy drug indicated for the treatment of pleural mesothelioma and non-small cell lung cancer. In February 2004, Eli Lilly and Company received U.S. Food and Drug Administration approval for pemetrexed for treatment of malignant pleural mesothelioma, and in 2008, company received another approval from FDA for treatment of advanced and metastatic non-small cell lung cancer. Alimta is a patented drug of Eli Lilly and Company and is protected by a vitamin regimen patent (2021), and pediatric exclusivity (2022) in the U.S., vitamin regimen patent (2021) in major European countries, and patents covering use to treat cancer concomitantly with vitamins (2021) in the Japan. However, Eli Lilly and Company’s compound patent for Alimta expired in the U.S. in January 2017, and expired in major European countries and Japan in December 2015. Various other key players have gained regulatory approval for the generic versions of pemetrexed and are expected to launch during the forecast period. Launch of generic version at low price is expected to rise adoption of the drug, which in turn will drive pemetrexed market growth over forecast period. For instance, in July 2018, the German Federal Patent Court declared the German section of European patent EP 1 313 508 for Alimta, void. Following this, in July 2018, STADAPHARM GmbH, the subsidiary of STADA Arzneimittel AG launched Pemetrexed STADA generic version of Alimta in Europe. Furthermore, Eli Lilly and Company is dedicated in frequent research and development in order to expand the indication of Alimta and to generate high revenue benefits. For instance, in June 2018, Eli Lilly and Company received the U.S. Food and Drug Administration (FDA) approval for a new indication for ALIMTA (pemetrexed for injection) in combination with carboplatin and KEYTRUDA (pembrolizumab) for the initial treatment of patients with metastatic nonsquamous non-small cell lung cancer (NSCLC), irrespective of PD-L1 expression status. Approval of novel indications of pemetrexed is expected to support and drive global pemetrexed market growth over the forecast period. The global pemetrexed market size was valued at US$ 2062.5 Mn in 2017 and is expected to witness a CAGR of 1.3% during the forecast period (2018 – 2026). North America is expected to Hold Dominant Position, Owing to High Prevalence of Non-small Cell Lung Cancer and its High Treatment Rate in the U.S. According to Eli Lilly and Company’s annual report 2017, Alimta (pemetrexed) generated around 50% of its revenue from the U.S. Hence, North America is expected to be most conducive region for growth of the pemetrexed market, due to high prevalence of non-small cell lung cancer and high cost for its treatment. For instance, according to the data published by the American Cancer Society in 2017, lung cancer (both small cell and non-small cell) is the second most common type of cancer in U.S and around 13% of all new cancers are lung cancer. American Cancer Society also estimated that in 2019, around 228,150 new cases of lung cancer (116,440 in men and 111,710 in women) would be diagnosed in the U.S. and survival rate for non-small cell lung cancer in stage IA1 NSCLC is about 92%, stage IB NSCLC (68%), stage IIIA NSCLC (36%), stage IIIC cancers (13%), and for stage IIIC cancers (13%). Key players operating in the global pemetrexed market include Eli Lilly and Company, Stada Arzneimittel AG, Eagle Pharmaceuticals, Inc., and others. Pemetrexed is a chemotherapy drug indicated for the treatment of pleural mesothelioma and non-small cell lung cancer. Pemetrexed is a patented drug of Eli Lilly and Company and sold under brand name Alimta. In 2004, Alimta (Pemetrexed injection) was approved by FDA in combination with cisplatin as an initial treatment for patients with malignant pleural mesothelioma. In 2008, ALIMTA, in combination with cisplatin, was approved as an initial chemotherapy treatment for locally advanced or metastatic NSCLC for patients with nonsquamous histology, and in 2009, ALIMTA was approved as a maintenance therapy for locally advanced or metastatic nonsquamous non-small cell lung cancer (NSCLC). Launch of generic version of pemetrexed in key region is expected to increase affordability of pemetrexed, which in turn is expected to support global pemetrexed market growth over the forecast period. For instance, in July 2018, STADAPHARM GmbH, the subsidiary of STADA Arzneimittel AG launched Pemetrexed STADA generic version of Alimta in Europe. 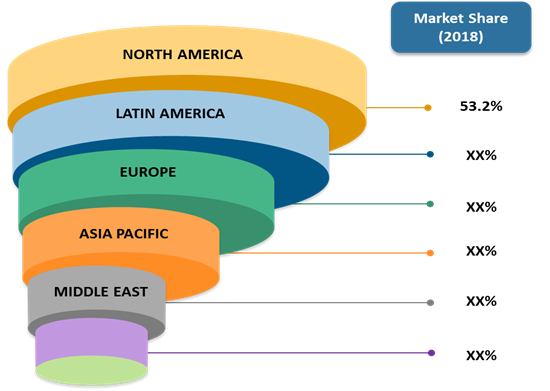 High prevalence of non-small cell lung cancer and pleural mesothelioma is expected to rise the demand for Pemetrexed for its treatment and support global pemetrexed market growth over the forecast period. For instance, according to the data published by American Society of Clinical Oncology, in January 2018, in the U.S. around 234,030 adults (121,680 men and 112,350 women) were diagnosed with lung cancer among which non-small cell lung cancer is the most common type of lung cancer, accounting for 80% to 85% of all lung cancer diagnose. Furthermore, key players in the market are dedicated to expand the indication of its Pemetrexed drugs in order to increase its sale and generate high revenues. For instance, in June 2018, Eli Lilly and Company received the U.S. Food and Drug Administration (FDA) approval for a new indication for ALIMTA (pemetrexed for injection) in combination with carboplatin and KEYTRUDA (pembrolizumab) for the initial treatment of patients with metastatic nonsquamous non-small cell lung cancer (NSCLC), irrespective of PD-L1 expression status. *Browse 18 market data tables and 20 figures on “Pemetrexed Market - Global forecast to 2026”.